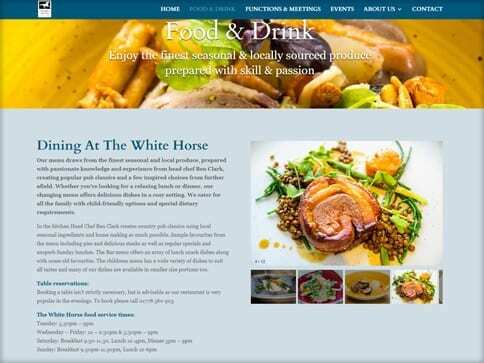 Our client prides themselves on their love for all things food and drink, the quality of their pub and restaurant needed to be reflected in the high standards of their new site. Our client felt their old site didn’t deliver on navigation and device compatibility, we needed to make the project mobile friendly to accommodate all devices and visitors. The clean and classic design reflects the experience customers should expect to have when visiting the pub. 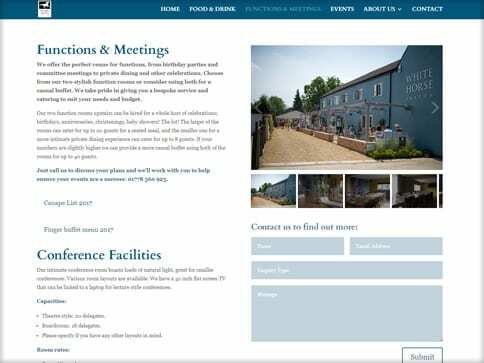 Our client also wanted the site to show the diversity of the venue’s services. The pub offers more than food and drinks, facilitating functions from birthday parties to committee meetings. This ability to promote services that go beyond the standard of other venues allows the client to stand out competitively online. With the competitive nature of their business, we created a site that’s highly responsive across all devices, with clear navigation for customers to find food menu’s with ease. The site is easily updatable allowing the client to show relevant news such as upcoming award nominations and pub offers and deals.